Tell General Howard I know his heart. What he told me before, I have it in my heart. I am tired of fighting. Our Chiefs are killed; Looking Glass is dead, Ta Hool Hool Shute is dead. The old men are all dead. It is the young men who say yes or no. He who led on the young men is dead. It is cold, and we have no blankets; the little children are freezing to death. My people, some of them, have run away to the hills, and have no blankets, no food. No one knows where they are – perhaps freezing to death. I want to have time to look for my children, and see how many of them I can find. Maybe I shall find them among the dead. Hear me, my Chiefs! I am tired; my heart is sick and sad. From where the sun now stands I will fight no more forever. 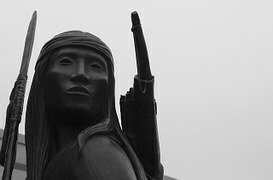 A WARRIOR fights for his/her people, to preserve life and liberty or to restore wellness and a positive direction into a brighter future for those the Warrior serves. 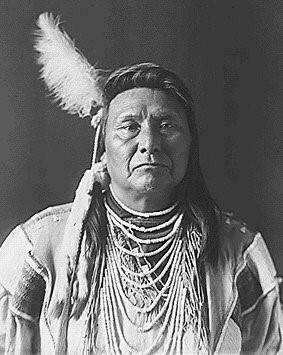 Chief Joseph, in seeking “to fight no more forever,” makes this statement bravely, declaring that once the battles of warfare have ended, there is yet a battle of peace and prosperity to be won. There is a time for the WARRIOR to fight and there is a time to put down arms to ensure greater survival for that which remains after the ashes of warfare have subsided. 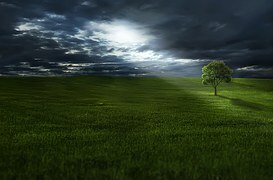 It takes great Wisdom to know what the Moment requires and to act accordingly; to surrender to the Great Spirit the passions of war; to, like Iroquois Native Americans, Bury the Hatchet under the Tree of Peace.